2. Cut the sambar onion into small pieces. 3. Wash the green chillies and cut into two halves. Then cut it again into small pieces. 4. Heat the oil in a pan, add mustard seeds and urad dal. 5. When it starts popping, add aniseeds, chopped green chillies, curry leaves and chopped onion. 6. Fry till the onion becomes golden color. 7. Now add the chopped tomatoes, and fry for 2 minutes. 8. Then add ½ cup of water and salt for taste. 9. Close the lid of the pan and cook for 10 mins. 10. Beat the mixture with hand beater. 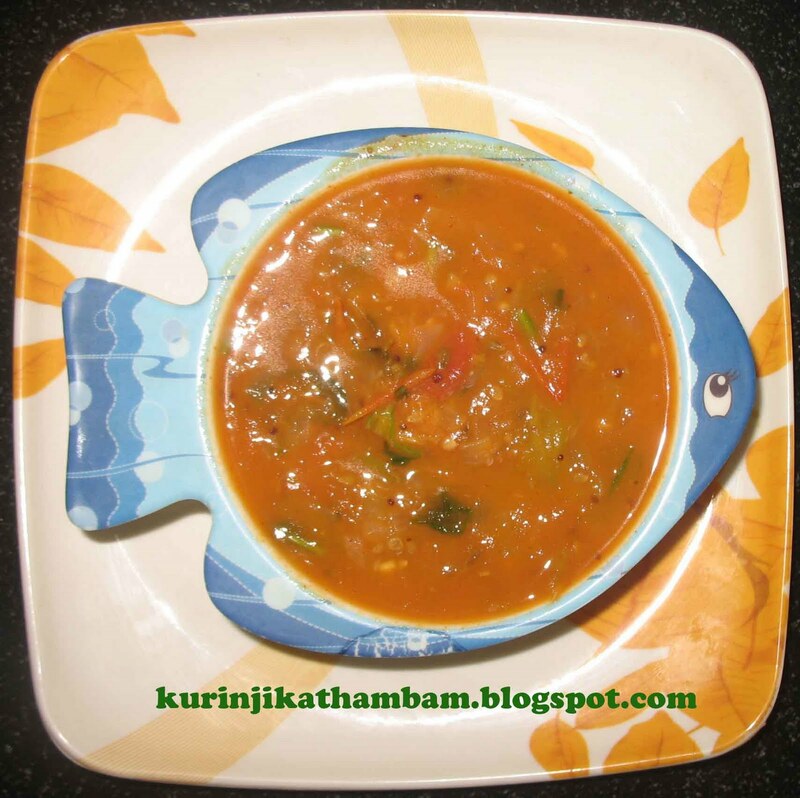 Serve Tomato Sabji with Idly and Dosas. Even it goes well with plain rice. Hi Kurinji i tried ur pepper rice today for our lunch, its turned out perfect and i'll be posting soon in my space..thanks we enjoyed a lot..
Tomato sabji looks super delicious and yummy..